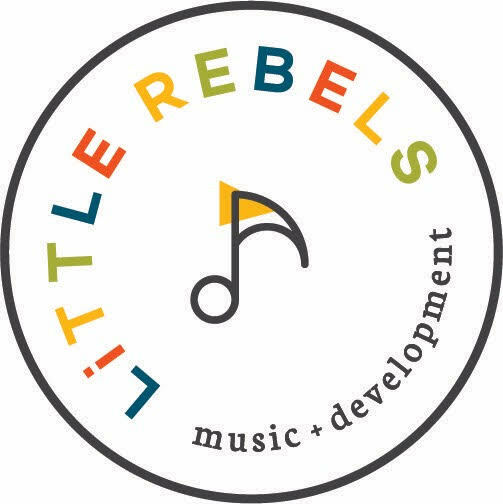 Little Rebels classes are carefully crafted and specifically designed Development and Music programs to encourage cognitive learning and muscle development. The program runs in 8 weeks sessions. The 45 minute class includes a series of fun activities, new-fangled Broadway and Rock n Roll tunes, tactile object play, crawling and walking activities aimed at assisting these amazing tiny humans in reaching those milestone moments. One of the other goals of Little Rebels is to get grown ups out of the house, surrounded by other parents and caregivers going through the same things. In learning these new songs and new ways to stimulate their Little Rebels at home in between classes, grown ups won't go bonkers singing "Row, Row, Row Your Boat" over and over and over again, but will feel confident, happy, and refreshed.